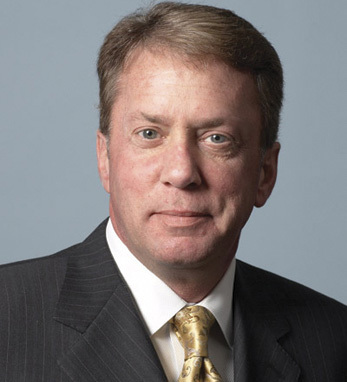 Terrence A. Duffy has served as Executive Chairman of CME Group since July 2007. He was Vice Chairman of the Board of CME Holdings Inc. from its formation in August 2001 and of the Board of CME from 1998 to April 2002. In 2002, Duffy was appointed by President Bush to serve on a National Saver Summit on Retirement Savings. The following year, he was confirmed by the U.S. Senate as a member of the Federal Retirement Thrift Investment Board (FRTIB). He serves on several boards including FXMarketSpace Limited and World Business Chicago. His involvement extends to the Economic Club of Chicago and the President’s Circle of the Chicago Council on Global Affairs. Duffy is involved in the Mercy Home for Boys and Girls and Saint Xavier University. In 2007, he received a Doctor of Humane Letters from DePaul University. Duffy attended the University of Wisconsin-Whitewater. He calls his third-generation Irish heritage a source of “great pride,” and traces his father’s family to Westport, County Mayo. He lives in Lemont, Illinois with his wife and twin sons.